©2017 Linda Nearon Studio. All Right Reserved. The summer of my youth was spent in a cabin in the Wasatch Mountains in Utah. I loved waking up in the early morning and observing the diffused light hitting the trees and mountains, like a musical melody giving the atmosphere an ethereal mood. I knew then that I had this passion to capture on canvas the effects of morning light on trees, mountains, and lakes. Later in life I moved to California, and my horizons expanded, to painting the effects of light in cityscapes, seascapes and florals. 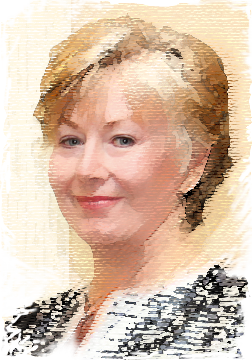 My work has both a representative and impressionistic style, with the lighted areas being the center of interest. My desire is to paint these scenes and preserve their memories. 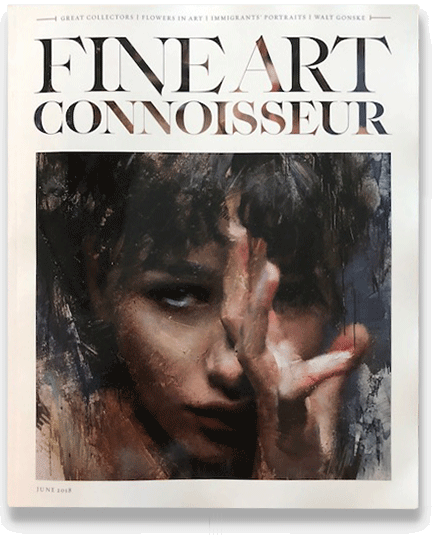 In 2018 the editor of Fine Art Connoisseur magazine contacted Linda with an interest in 5 of her floral paintings for a section in his magazine on Florals. More info. 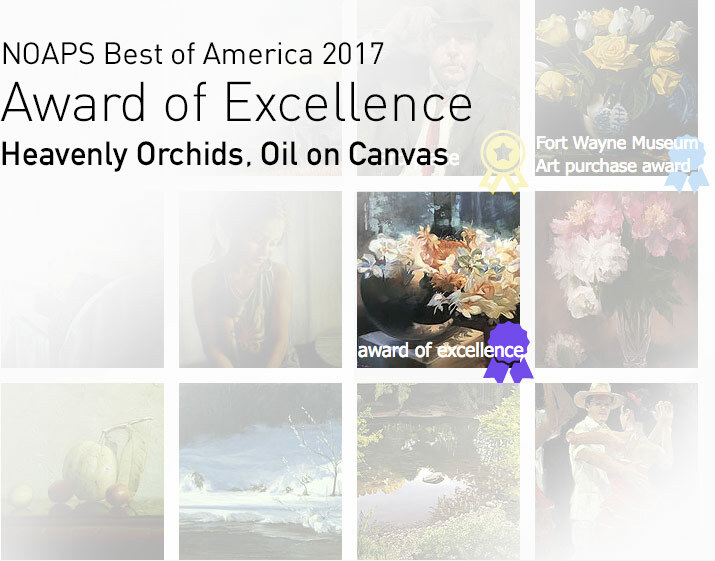 In 2017 Linda was awarded the prestigious Award of Excellence in the NOAPS Best of America for her submission of Heavenly Orchids. Scroll for all galleries. Click or click and drag gallery thumbnails.